What does Jessika's tattoo say? MAFS fans have figured it out. 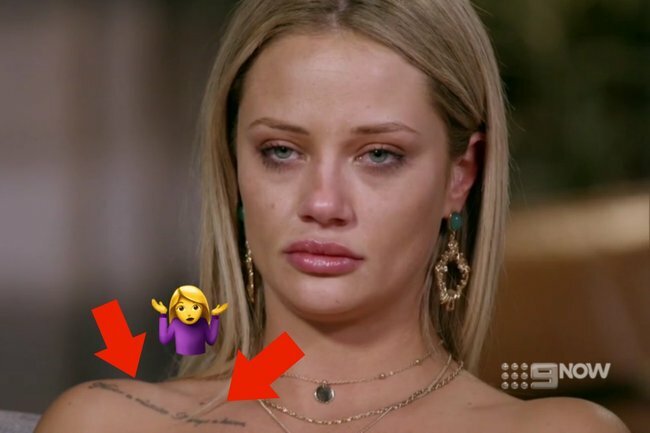 We've figured out what MAFS Jessika Power's tattoo says. And it explains a lot. 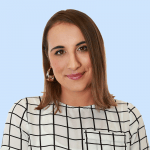 So it turns out the signs Jessika Power came on MAFS purely to light the entire experiment on fire were right in front of us all along. Quite literally written across her chest. Watch: Things we all say when watching MAFS. Post continues after. Yes, eagle-eyed fans have finally figured out what her collarbone tattoo says and it’s… telling. ... It looks like one long squiggly line. Never fear, Twitter has officially cracked what it says: "Never a mistake, always a lesson" and we are eternally grateful for strangers on the internet. Figured out Jessika’s tattoo and it is aptedy-apt-apt ???? What we can pretty much gather from the message Jessika wishes to convey to the world is that her philosophy is act now, ruminate later. Do what Jessika wants, learn from it afterwards. Essentially, a classier attempt at "no regrets". And oh, it all makes sense now. From where we&apos;re sitting, ruining someone else&apos;s marriage as she attempted with Ning and Mark, while in pursuit of another woman&apos;s husband - Tamara&apos;s fake husband Dan - definitely seems like a mistake, so we are curious to see what lesson she&apos;s learnt from that one. ... But on the other hand, she&apos;s actually ended up dating Dan in the real world, so she probably doesn&apos;t have any regrets from the show. Maybe the lesson she&apos;s learnt here is that entering a ridiculous reality TV show, marrying a complete stranger and destroying everyone in your path really is the best way to find love. As for the rest of us? We&apos;ve learnt to think very carefully about getting slogan tattoos, because they WILL be dissected by anyone and everyone we encounter.